The Trimble R8s GNSS receiver is a flexible, scalable system that offers all of the features and benefits you expect, in one customisable system. Robotic Total Stations have a time and a place on the jobsite but there are times when line of sight or other obstacles make them difficult to use for site activities. When those situations arise, using Global Navigation Satellite Systems (GNSS) is a great alternative for accurate site layout. We have paired our industry leading Trimble Field Link layout software with the Trimble R8s GNSS system to provide you an easy to use system with a layout solution designed for the MEP contractor, not a surveyor. Each Trimble R8s comes integrated with powerful Trimble 360º tracking technology that supports signals from all existing and planned constellations, and augmentation systems. 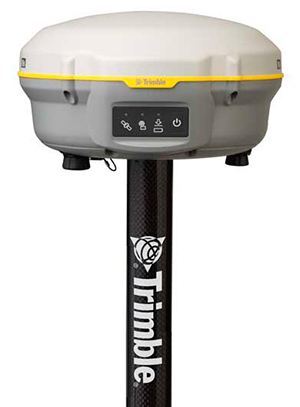 Trimble 360º technology can expand the reach of your GNSS rover to sites that were previously inaccessible due to moderate vegetation or other obstructions by taking advantage of the availability of additional satellite signals. For more information about Trimble R8s GNSS, you can request a demo or call 0800 028 28 28.